My friend Tim reminded me yesterday that I had to be “out there” in order to get images – and sometimes you even got one or two that really worked. 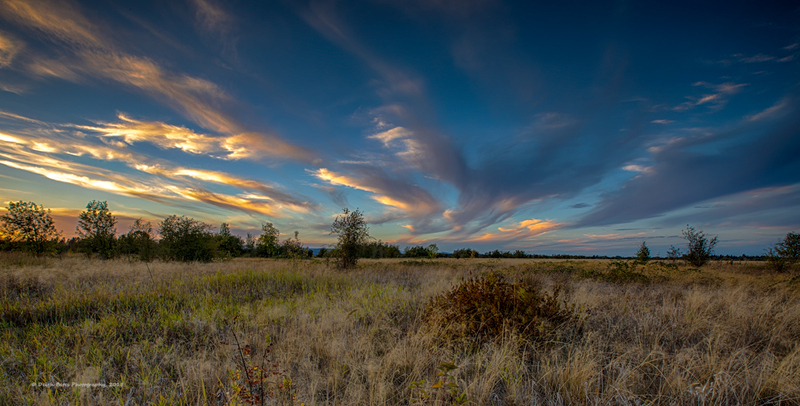 Went back out to familiar ground, the West Eugene wetlands, yesterday evening. Saw clouds filling the sky with interesting patterns – thinking about a Joni Mitchell song. 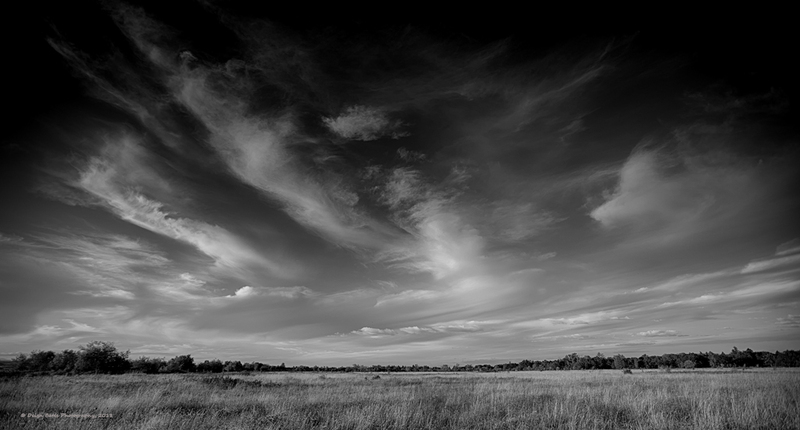 The B&W image was early in the evening and the color image was just before heading home near sunset. So nice to be out in cool autumn air with colorful sky.